The summer holidays mean for some nannies, a much-needed break. Others, are busy working. Some, are searching for jobs. But for all, it’s time to think about the year ahead. Because career growth and success don’t just happen. You’ve got to take action to make it happen! 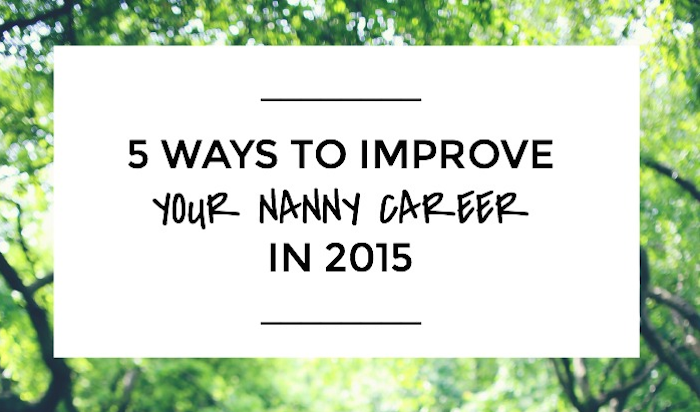 These 5 ways to improve your nanny career will ensure that 2015 is your best year yet! Take note of your current area of expertise or previous courses you’ve done and see where you can expand on them. Break the year up into trimesters and enrol in three different courses that could benefit you. Now I know that you’re busing working and that time off is in short supply. Search for a simple weekend or day training event or sign up to an online self-paced course like this Baby Sign Language course from Care Academy. Is there something you’ve been dying to do but always hesitate to commit to? Make 2015 your year of opportunity and possibility. Volunteer your babysitting services to a charity fundraising event, or apply to that intriguing job that involves loads of travel. You never know what possibilities might pop up just by taking the opportunity when it presents itself. Being a nanny can be terribly isolating. But with the rise of social media, more and more nannies are connecting with each other and sharing their experiences and making friendships. So in 2015, join that local nanny Facebook group or be brave and go along to an after hours nanny social event. Making connections with like-minded people in your field of expertise can do wonders for boosting workplace morale and provide the chance to make new life experiences. If being a career nanny is your long-term goal or chosen profession, ensure that you’re clear on your key wants and needs for 2015. Set about re-defining your goals so that you can ensure you’re moving along the right path. Your nanny career is an individual pathway. So if it’s time to reboot your resumé to provide better career directions, or to let go of that ad hoc babysitting job that’s more hassle than it’s worth, set the intention and follow through. Do you hold yourself accountable and to an impeccably high standard? I do, and so do a lot of nannies. When you’re raising other people’s children, it can be a big undertaking. Don’t be tempted to criticise your actions too harshly on the bad days. Kids are unpredictable, unforeseen events snow ball carefully laid plans, and the remains of an “in-the-moment” craft activity lies out signalling you forgot to teach the kids to pack up after themselves. It happens. Call it a day and move on. Reflect on what you could do differently to improve a similar situation and learn from it. But don’t dwell. You are a rockstar nanny that did the best you could with the means you had. Be kind to yourself. Career growth and success don’t just happen. You’ve got to make it. Don’t know where to start? Get in touch and we’ll start the process together! 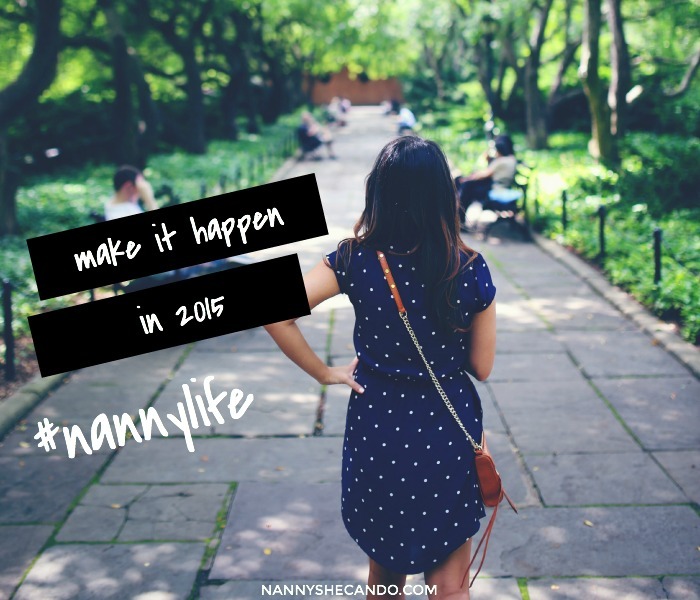 >>> Do you know what you want from your nanny career in 2015?